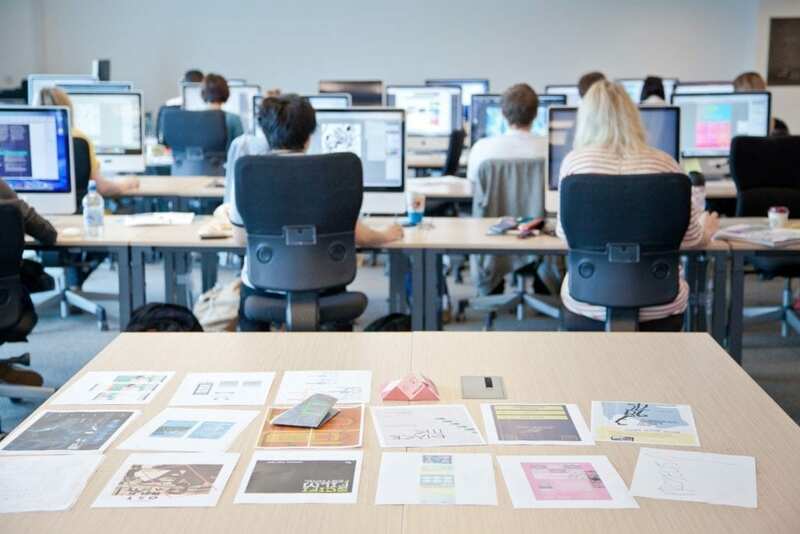 International School of Design builds cloud infrastructure and scales up on-campus technology. Shillington was founded in Sydney, Australia in 1989 and has since become one of the premier institutions offering training in Graphic Design for print and web. In 2001, Shillington opened a Campus in New York City. “We have been relying on mac-tech since 2010 for responsive and detail-oriented help desk support,” says Holly Karlsson, director of the New York Campus. When the time came to modernize infrastructure in preparation to an expansion to England, the school immediately partnered with MacTech to identify opportunities for efficiencies between the sites – and to implement high performance technology in the classroom. Holly continues, “We knew it was time to move towards enterprise grade tools in order to be prepared for the requirements of the latest design software – as well as higher enrollment numbers.“ The challenge was identifying the right set of tools and then executing upgrades with no interruptions for students and staff. High Performance Networking – With more students working on shared design resources in ever-higher resolutions, 10Gb connections between network attached storage and switches brought the needed performance increase. Wait times were greatly reduced and the students computing environment became more responsive and agile. The importance of tablets in the design workflow is increasing – both as a production and delivery tool. This drove up the number of devices on Shillington Schools’s WiFi networks. MacTech rolled out powerful cloud-managed wireless access points by Cisco Meraki and retired consumer grade equipment. Collaborative Support Structure empowering staff – With Shillington’s UK Campuses operating in a different time zone from New York and Australia, a new approach was needed to enhance the capabilities of in-house teaching staff and to bring them together with other support teams around the globe. Mac-Tech set up a wiki system to create dynamically updated documentation for common technical tasks and quick fixes. A new support portal was brought in to centralize case information and to make it available for collaboration between the different support agents. Centralized Software Deployment – The school’s fleet of over 230 iMac computers need the latest software versions installed before every semester. The school had been relying on each site’s support resources to build and deploy software with a mix of tools. MacTech standardized around DeployStudio Pro with multi-site replication. This allows a set of software and OS to be utilized in all 6 campuses – and updated at the same time. Cloud Based Messaging and Groupware – As the organization grew, the local Kerio Connect system in Australia no longer scaled for a global team. Leveraging Amazon Web Services, mac-tech built up Shillington’s Virtual Private Cloud and migrated the entire email system into a dedicated virtual machine. This Cloud infrastructure is now the foundation for future initiatives towards global applications and services. Activate your team – Instead of creating a closed support structure Shillington chose to engage their in- house resources as a first step. This drives adoption and interest in technology, which is exactly the culture Shillington wanted to create. MacTech’s best-in-class support structure is available as an option when needed. This reduces support cost and enhances self reliance. Reliability – With business critical infrastructure moved into the cloud, users see less downtime and service interruptions. MacTech’s recoverability strategy ensures that there are snapshots available that allow quick repairs and roll-backs. Scalability – Improved tech infrastructure gives the college room to grow. Adding computers, wireless capabilities and email users can be accomplished without creating a bottleneck. Even adding a classroom due to increased demand can be done on short notice. Less is More – An identical software build across all computers greatly diminishes the amount of variables between locations and computers. Now, dealing with a misbehaving workstation can be as simple as looking to recreate the problem on a known-good prototype. If there is a problem found, the computer can quickly be re-imaged and put back into production. After all, supporting a single software package is a lot simpler than two hundred similar ones. mac-tech delivers tech strategy, projects and support. Headquartered in New York, MacTech was founded in 2004. The team of engineers, project managers and consultants is committed to finding, implementing and managing innovative technology solutions for organizations of all sizes. Since 2014 MacTech has operated an office in Washington DC, supporting a rapidly growing client base in a wide range of industries. Download this case Study as a PDF here: MacTech Shillington Case Study.